Ever wish you could take your duvet with you on chilly mornings? This warm down jacket is the next best thing. 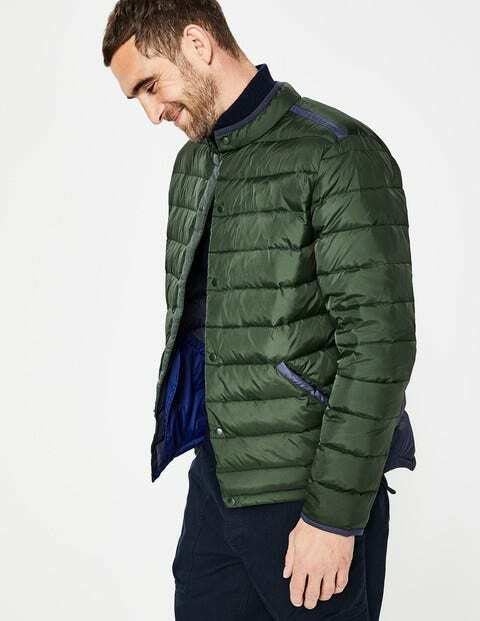 For style, it's in a league of its own, with a clean, collarless shape and contemporary quilted design. Contrast panels down the back and sleeves add the finishing touch.